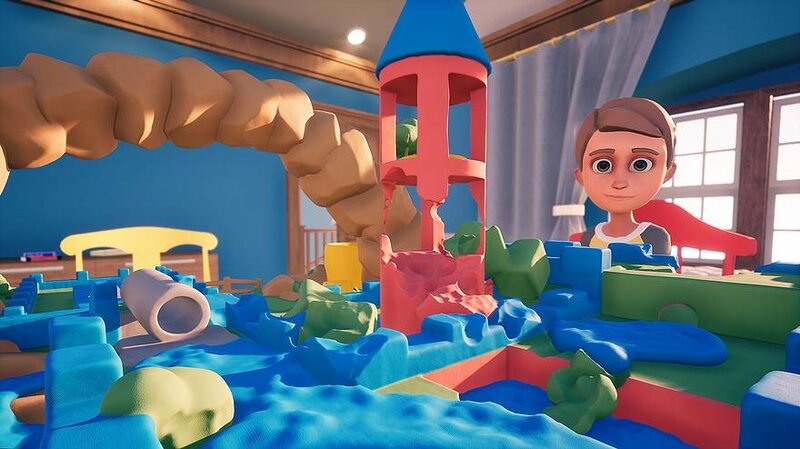 Claybook is an ID@Xbox game that is set in a world made entirely of clay. Due to the various playfields in Claybook being made of clay, everything can be shaped, molded, and re-made across the main storyline (separated into books and chapters), across a multi-player mode that supports up to four players, and a sandbox mode that lets you build clay to your heart’s desire. I caught up with Sami Saarinen (CEO and Co-Founder of Second Order) about Claybook shortly before its Switch launch, and we talked about the game’s fluid physics, working with Microsoft, how it was adapting Claybook for the Switch, and more. You can check out Claybook’s official site. You can also check out the Second Order’s website, tweet them on Twitter, like them on Facebook, and subscribe to them on YouTube. Claybook is out now for the Xbox One, Nintendo Switch, PlayStation 4, and Steam. Operation Rainfall: For those out there that may not have heard of Claybook or Second Order before, who are you and what is this game about? Sami Saarinen: My name is Sami Saarinen, and I’m a game developer from Helsinki, Finland. I’ve been making art and games since early 2000. I founded the Second Order game company with Sebastian Aaltonen in October 2015. Previously we worked at RedLynx Ubisoft for over 12 years, and on many projects and platforms during that time. The Trials game brand was our main project since 2007. Claybook is the first game developed and self-published by Second Order. The game is a physics-based puzzle platformer but with our unique twist — you play in a world made entirely of play-doh like clay. One of the unique elements in the game is that the entire game world is fully dynamic. The whole play area can be filled with clay, and the clay can be solid or in liquid form. As a player, you navigate through these clay worlds with clay shapes while solving different puzzles. Shapes have abilities: rocket shapes can fly, cannons shoots liquid clay, and the magnet pulls the liquid clay towards the player which helps you haul clay around the world and complete the objectives. We developed proprietary technology called Clayfield as these types of gameplay and art styles aren’t possible in any traditional engines. With our technology, we can render and simulate rich volumetric environments. Also, the technology was designed to support user-created content. The game has the in-game editor and lets players share creations through cross-platform sharing service. OR: The clay’s fluid physics in Claybook are quite unique. How did you go about defining how fluid the clay used in the game would be and how did you then take that idea and translate it into actual gameplay? How difficult was it to do? SS: The fluid was a quite late addition to the game. Before fluid in the world, the game world was pretty static, and we felt that we should have some more dynamic elements that could be used as gameplay elements but would also work together with other physics-based systems. We knew that fluid would look great if we could render it as clay instead of realistic liquid like water, and it also lets us have more liberty on fluid simulation. For example, properties like viscosity as we were simulating liquid-like clay instead of realistic water. On the gameplay side, we have lots of ideas and features that we didn’t have time to explore during the development fully. For example, for a long time, we had an ability in the game where the player could freeze the fluid clay into solid. Also, we had an implementation of the fluid AI where the fluid would move like massive swarm killing the player. We read many scientific papers and tried to find ways to approximate the fluid simulation on GPUs. There are many proposed methods over the years, but usually, all of them are too slow for games, let alone games targeting 60 fps on modern hardware and in the games, you cannot use all of the horsepower on single effect. OR: Claybook was part of the Xbox Game Preview program and it was also demoed at GDC 2018 at the ID@ Microsoft booth. How did you first get involved with Microsoft, and what was the process like working with them to get Claybook out there in Game Preview? SS: We have a long history of launching games on the Xbox platform during the years. We had a special bond, and we liked how they operate. Initially, we were planning to release first on Xbox but during the development, Steam introduced the Steam Direct program and it changed our plans. Xbox Game Preview is exciting, and it’s much better than any other early access program. I like that it’s an appropriately reviewed process you can apply for, but that doesn’t guarantee that you will be accepted. OR: What was Claybook’s reception like as part of the Xbox Game Preview program and at GDC, and what did you learn from it those experiences that helped to develop the final game? SS: Overall experience in the Game Preview was really positive. Players on the Xbox platform are very engaged and gave us lots of feedback. Initially, we planned to stay in the Game Preview longer but we were really eager to bring the game on other platforms. Trade shows are a great way to introduce the game [to] new players and get instant feedback from the player. ID@Xbox hosted GDC event was an excellent opportunity to connect with Microsoft staff and get input from the players and fellow ID@Xbox developers. Unfortunately, trade shows can take a lot of time and money especially if you are a micro team like us. In the future, we would like to attend the trade shows more as they can be precious. OR: Did the pre-planned story levels come first, or did the sandbox level editor come first? Did one mode influence the other? If so, how? And if not, why not? SS: We knew from the start that we would not have the resources for story-driven gameplay. It was quite early that we decided that we would go more arcade, level-based approach as it would give us more flexibility on iterating the gameplay elements. We had concepts for utilizing the book theme in the game more. For example, it might not be evident that you are playing “inside the book” that is laying on the table. We called the game Inside the Claybook quite long in the development before we drop[ped] the first part from the name as we want to build more games around our technology and the Claybook world. Back in my days in the RedLynx with the Trials brand, I was one of the central guys behind the level editor and sharing. We had great success with the sharing feature over the years, and we saw the great potential for the game in the long run. The Claybook level editor was in our design from the start as we knew that with a small team, we would have to be smart as we couldn’t add lots of handcrafted content to the game. Level editor and cross-platform sharing were added late in the development. Implementation of the editor was quite easy as I have worked on many custom editors inside games over the years. We chose to create tools aimed towards more experienced players as it’s a bit easier to develop. Quicker to learn editing tools take a lot more time to develop and require constant usability testing, and we knew that this was going to be a challenge. While we haven’t had the response to the community creators that we had hoped, we’re excited to see what a new community of players who have gained access through the Nintendo Switch will bring. Although we don’t have set plans for the future, we could introduce more accessible creative tools to the editor, such as free-painting, but that will have to depend on the time we, as a small team, can devote to developing it. OR: What unexpected challenges did you face developing Claybook? What occurred during development that you did not expect? SS: I was surprised by the sheer amount of additional work due to running your own company and self-publishing games on four platforms. It’s quite unfortunate how little time you have on some development tasks just due to the lack of resources. I thought I knew what crunching was before Claybook development, but now I have all new perspective. It’s not a sustainable method of working. OR: D.M. Murray once wrote that “All my writing-and yours- is autobiographical.” What of yourself/yourselves do you see in Claybook, and how did that influence the game’s creation and development? SS: I believe that you can see self in the product you create. I can see our fingerprints all over the game. We like physics, skill-based and systemic gameplay. We had such a long history on working with [the] Trials brand that even though we tried to stay away from it, the same principles are all over the game. We wanted to create something that hasn’t been done before — our fascination with technology and obsession with fine details. We worked hard on making the game visually flawless as possible. Gameplay had to be smooth and no visual artifacts, shadow or geometry filtering. The game is visually remarkably stable and pleasant to look. Everything from the ground up to works together. Visual language and design decision work perfectly together with the technology we chose to use. Shape it. Build it. The world in Claybook is made entirely out of clay, so you can turn it into a multitude of things. (Image courtesy of Second Order). OR: This game came out last year for Steam, Xbox One, and PlayStation 4 platforms with technology designed “for butter smooth 60 fps gameplay on PC and consoles”, to quote your website. The Nintendo Switch is, objectively, a less ‘powerful’ console tech-wise when stacked against the PlayStation 4 and Xbox One. What was the process like developing and porting Claybook over to the Nintendo Switch, and what compromises (if any) did you have to make to ensure the high level of quality for Claybook? SS: One of the challenges was to bring our Clayfield technology to the Switch. We had to consider what would be the right solution to bring technology to a platform that performs differently than other consoles. Claybook has cross-platform sharing, we had to make sure that whatever changes we would have to do, we cannot break the cross-platform compatibility and all of the player creations would run perfectly on the Switch whatever the source platform was PC, Xbox One, or PS4. One of the changes on Switch is that we have a half resolution version of the volumetric rendering, which is faster and uses less memory. Half resolution sounds that it would greatly impact on the visual quality but actually, it looks quite similar to the full resolution due to the nature of the sign distance field used for the world and rendering. Also, the fluid simulation was greatly optimized without breaking the cross-platform compatibility. However, we discovered that we would have to make even greater changes and optimizations to achieve 60 fps. In the future, this might be possible but as we had to make sure that we maintain the cross-platform compatibility without patching other platforms. We had to make the decision to run the game on locked 30 fps on Switch on handheld and docked mode. On the plus side, the game looks great on Switch. Also, due to high quality upscaling and temporal anti-aliasing, visually the game looks close to other consoles. OR: Will Switch players have access to the other community creations that were previously shared on PC/Xbox One/PlayStation 4 platforms and will there be any new features for Switch owners? SS: The Switch has all of the same creation and cross-platform features as rest of the platforms. Content-wise we didn’t want to break the cross-platform aspects of the game, so it added some restrictions. We tried to implement some of the Switch specific features to the game, but we felt that many of them didn’t add value. Also adding small nice-to-have features can introduce new platform technical requirements that you need to support fully and tested against in the platform certifications. OR: What lies in the future for Claybook and Second Order after the game is released for the Nintendo Switch in March 2019? SS: During Switch version development, we ported our technology to the Metal and Vulkan graphics APIs. These APIs opens up new platforms where Claybook and games utilizing our technology can be released. For example, iOS, Mac and Linux. Also, we have had many inquiries about our technology. We don’t have anything to announce just yet, but there are many opportunities for us in the upcoming years. What do you want to build out of clay in Claybook? What platform are you planning on picking Claybook up for?